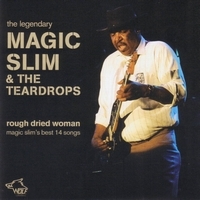 The Wolf record label has served Magic Slim & the Teardrops well, producing eight CDs between 1986 and 1992, when the band was emerging from Chicago to tour the world. 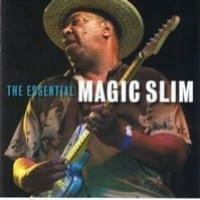 They are deserving on many fronts as the self-proclaimed "best blues band on the planet," and these tracks, marketed as "Magic Slim's best 14 songs," certainly go a long way to proving that assertion. 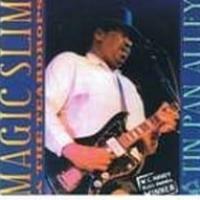 Of the album's 14 tracks, 11 come from the studio and three are previously unissued live concert sessions in Austria, all with Slim, the remarkable second guitarist John Primer, brother and bassist Nick Holt, and different drummers. 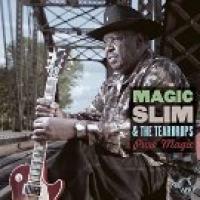 Only one of the tunes was written by Slim, the others taken from classic blues songwriters and heroes of the lead vocalist and guitarist, whose distinctive sound comes shining through from start to finish. 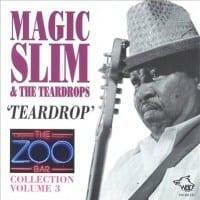 Albert King for sure is a favorite of Magic Slim, as he does fine renditions of "Match Box Blues" and a live version of "Blues at Sunrise" with extended guitar introductions. Composer Walter Williams is also well represented here on his classic "Bad Avenue" and "Ain't It Nice" in slow and dirty, grinding fashion. 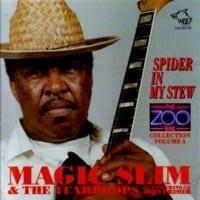 The definitive "Spider in My Stew" is Willie Dixon's tune, always a favorite of this band and audiences, as the richness of Slim's voice is most pronounced, while the Muddy Waters evergreen "You Can't Lose What You Ain't Never Had" suits Slim & the Teardrops to a T in a slow-stewing broth. 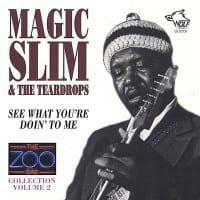 Then there's J.B. Lenoir's famous "Mama, Talk to Your Daughter," as Slim's persuasive side takes a back seat to speedy con man's jive, and the bouncy "I'm Good" reveals the boastful, confident side of Slim while Nick Holt's upbeat basslines reinforce the alleged good times ahead. 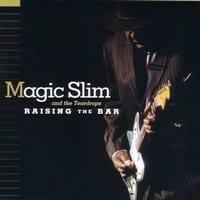 Eddie Taylor's classic "Bad Boy" reveals yet another facet in a chunky blues that parallels "Sweet Home Chicago," while the lone original of Magic Slim's "Tell Me What Makes a Woman Treat a Good Man So Bad" echoes the payback in a shouted-out, steady-rolling, rock-edged style. 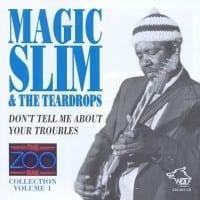 It's debatable whether these tracks comprise the very best of Magic Slim & the Teardrops through their four decades of presenting rip-snorting Chicago-style blues, but everything on this collection is very good and should please all blues lovers, not only in the way they play, but the broad range of excellent tunes they have chosen to perform faithfully. It also should be noted that shortly after the 2009 release of this CD, Nick Holt passed away at age 69 of brain cancer in Lincoln, NE.